AMS Spectral UV - A Baldwin Technology Company will participate in the below industry events in the coming months. The Print UV Conference is the premier all-in-one conference event for leaders in the global UV printing industry. Attendees meet annually in Las Vegas to network, engage with printers and leading suppliers, uncover new ideas and growth opportunities, dive deep into core UV processes with experts from multiple fields and hear case studies from successful UV print initiatives around the world. If you're a commercial, packaging or specialty printer and are serious about UV, you do not want to miss this event. package printing industry in the Americas. PRINT connects printers with manufacturers and suppliers of the industry's most prominent equipment and consumables, and is the industry's leading trade event for commercial printers. Argos Inspiration Days is a three-day graphics-oriented open house that features an interactive and modern format. Attendees will have a chance to learn about the latest technologies and processes for digital finishing, and will have the opportunity to discover a completely digital workflow, from document creation, web to print and finishing, shipment to delivery. TAGA is the premier global association for individuals researching, developing, and studying graphic arts technology. The TAGA Annual Technical Conference provides an opportunity for its members to learn about the latest industry advances and those of related fields, as well as brainstorm with other experts about solving problems and road blocks in order to move our industry forward. Members come to the Annual Technical Conference from all over the world and from all facets of the graphic arts industry. AMS president Steve Metcalf will present on LED-UV curing technology at this event. 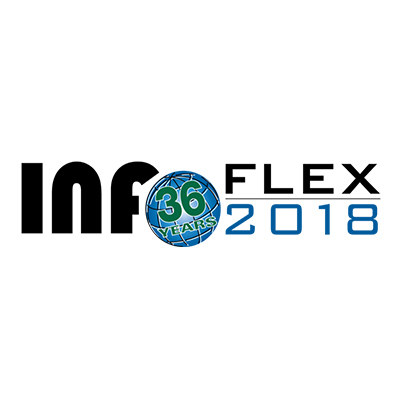 Join 2,000+ professionals traveling from more than 30 countries at INFOFLEX 2018, taking place May 7-8 at the Indiana Convention Center in Indianapolis, IN. Collocated with Forum, which takes place May 6-9, attendees from every facet of the package printing and converting industry will set out to discover more than 240 exhibitors occupying the show floor. Find us in booth #224.